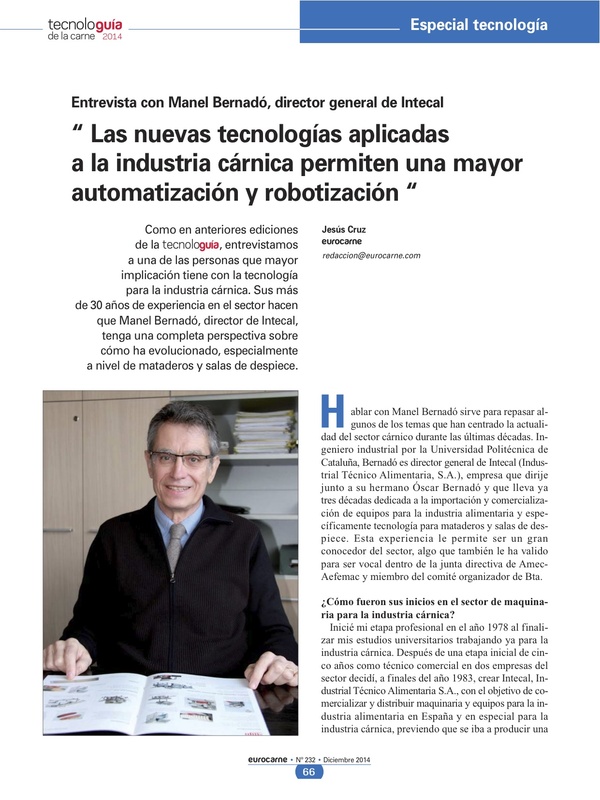 The Spanish magazine Eurocarne interviews the general manager of Intecal, Manel Bernadó, in its latest edition of the year and fourth edition of the Technologuía, the issue dedicated to products, brands and technology providers for the meat industry. The magazine, considered a benchmark in the industry, highlights the involvement of Intecal’s manager with the technology for the meat industry and his 30 years of experience. In his interview, Manel Bernadó analyzes the technological revolution of slaughterhouses and cutting plans in the recent years, and reflects on the evolution of the sector in the future.